Despite dozens of heroes from across time and space venturing in and out of the TARDIS doors, not a lot of Doctor Who’s companions have actually left via the grim exit of death itself. 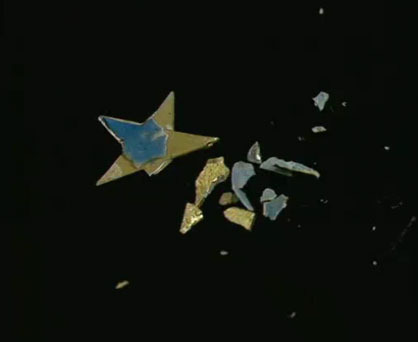 You might cast your mind back to someone like Adric, but the first companion kill goes back much further...and is about to come back to haunt not just one Time Lord, but two. Yes, well before Adric was a twinkling silent-credits-over-that-maths-badge in someone’s eye, the dubious honour of the first companion to get killed off in Doctor Who history fell to the First Doctor-era character Katarina, a handmaiden from 1200 BC Troy. And while there’s debate about whether she’s really a true companion — because this is literally what Doctor Who fandom is all about, the debates will last as long as time itself — considering her death came just five episodes after she joined team TARDIS in “The Myth Makers,” Katarina is widely considered the first major companion causality on the show. 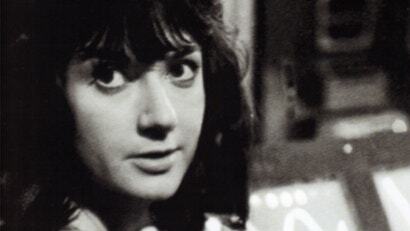 She perished during the very next (and epic-length) serial after her introduction, “The Daleks’ Master Plan,” when she sacrificed herself in a hostage situation by blowing both herself and her captor out of an airlock in front of the Doctor. Her role in the rest of the story was given over to another killed-off-quasi-companion, Sarah Kingdom, who allied with the Doctor but ultimately perished at the end of “Master Plan.” Seriously, they had the time back in the day, that story was 12 episodes long! But now, Doctor Who News reports that nearly five and a half decades since Katarina whooshed out of that airlock and into the history books, she’s coming back as part of Big Finish’s celebration of 20 years in Doctor Who audio stories. Katarina’s return will feature in Daughter of the Gods, the first story in Doctor Who—The Early Adventures’ sixth series, set to release this November, with Ajjaz Awad lending her voice to the character in place of original actress Adrienne Hill, who passed away in 1997. The story will see the Second Doctor, Jamie, and Zoe encounter the First Doctor, Steven, and Katarina after a mysterious piece of equipment Zoe re-attaches to the TARDIS console causes a near-collision across time and space...but the problem is, Katarina shouldn’t actually be there at all. The story — which sees original actors Frazer Hines, Wendy Padbury, and Peter Purves reprise their roles as Jamie, Zoe, and Steven (with Hines and Purves also pulling timey-wimey double duty as the Second and First Doctors, respectively) — marks the first really major re-appearance of Katarina in any form of Who media since “The Myth Makers,” outside of brief Easter egg moments in a few novels and comics. Although she’s a tiny, yet paradoxically important part of Doctor Who history, it’s nice to see Big Finish celebrate the power of what its audio dramas can do with Doctor Who storytelling by re-introducing Katarina to fans. Doctor Who: The Early Adventures season six is set to release November 2019.